When writers write with economy, each word and sentence contains essential ingredients that, taken together, elicit a particular and specific response in the reader. Full disclosure: these five mentor texts have all been published by Candlewick Press. They are books I’ve spent ample time with so I can parse them out in great detail. The title directly addresses and challenges the reader – and who can resist a dare? Furthermore, what child doesn’t immediately associate yawning with sleepiness, and sleepiness with that bane of many a child, naptime/bedtime? And what child wouldn’t like to prove that he/she is NOT sleepy and therefore, does NOT need to go to bed? Once inside the book, the litany of cautions and tips to avoid yawning are a mix of the familiar and the absurd, but hilariously exaggerated by Serge Bloch: cavernous yawns that take up a page; a herd of soft, fluffy sheep jumping over the fence as if being controlled by some unseen force; and my favorite, a baby orangutan wrapped up in the absurdly long arms of its bright orange mama. The examples will tickle the funny bones of every reader, thus moving the struggle against bedtime from a battlefield to a vaudeville stage. Pretty soon, the reader is barreling along, completely engaged and eager to see what funny situation will be presented on the next spread. At the same time, the “dangerous” scenarios that might lead to yawns and bed sound pretty appealing: soft blankets, favorite stuffed animals, bedtime stories – what’s not to like? But my very favorite part of this book is the clever way it plays with expectations and human nature: tell someone not to yawn and, guess what? They are very likely to yawn! 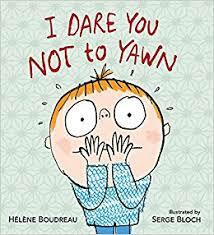 A fun introduction to the peculiar psychology of yawning and, contrary to the conspiratorial treatise on resistance, this book is designed to get young readers yawning . . . a lot! An irresistible and wholly-immersive experience. In the hands of Rosemary Wells, a rarely-addressed issue of early childhood (toileting accidents) is stripped of some of its horror and shame. Instead of reading like a prescriptive “issues” book, it is as exquisitely funny and spare as a Max and Ruby text and as beautifully real and reassuring as a Lillian Hoban text. The book showcases Wells’s genius for dialogue and telling detail. On page one, Fiona has laid out her clothes for school the next day: “her aloha dress, her sunshine undies, and her new red shoes.” By the naming of the clothes alone, we feel Fiona’s excitement about the day to come: it is the day that the volcano she and her friend Felix’s home-made volcano will “erupt big-time” at show-and-tell. A bit of foreshadowing, perhaps? What’s worse, everyone sees Fiona’s accident when it occurs. The details used to articulate what happens next are clear hints that this disaster is going to work itself out: “Fiona tossed her sunshine undies in the trash and sped to the Harmony Corner. There she dived behind the relaxation beanbags.” That’s where her best friend, sweet Felix, finds her and reassures her that accidents happen to “everyone in the world! Even the president. Even the first lady!” Further comfort comes in the form of the “pair of clean, dry bluebell undies in a zip bag” that her mama drops off at the school. And, finally, there is the simple fact that, while the accident looms large in Fiona’s mind, it will most likely be forgotten the moment something else grabs everyone’s attention, like Victor swallowing a goldfish! Jameson always wears green pants. His closet is full of them. They give him courage, confidence, competence. If green pants are what he needs to live a life of joy and exuberance, what’s the harm in that? From the start, it’s clear that this “spirited” child is loved and celebrated for who he is. The book starts as every good picture book does: sets up the status quo with a short sequence of reinforcing examples before introducing the conflict. Jameson’s cousin and his fiancée, Jo, want Jameson to be in their wedding party. Jameson is helpless in the glow of lovely, kind Jo, who puts herself at eye-level with Jameson, and he immediately says, “Absolutely.” We don’t often see the young crush depicted in picture books – on a babysitter, a teacher, or some other kindred adult. I love that Kraegel gets this and love the way he strips away all distracting and extraneous text and detail from that magical and utterly innocent moment of infatuation. A turn of the page reveals the catch: being in the wedding party means Jameson will have to wear pants that are NOT GREEN. Can Jameson give up his comfort to support the ones he loves? The tension mounts as the wedding approaches and is carried all the way to the church steps. In a brilliant show of wisdom, Ken Kraegel has the adults step back, leaving the decision to Jameson. Perfectly timed, Jo appears in the doorway of the church, her eyes shining and smile bathing Jameson in warmth. The solution is ingenious and entirely Jameson’s in a story that epitomizes agency in a child. Jabari tells his dad that today is the day he’ll jump off the high diving board for the first time. The implication is that this has been Jabari’s aspiration for a while, that it has been a matter of mustering up the confidence and courage to achieve that goal. Declaring that he is “not scared at all” belies the trepidation that he hasn’t entirely vanquished. Watching the other kids jump, Jabari asserts that it “Looks easy.” Nevertheless, his dad gently squeezes his hand and Jabari squeezes back, a silent but potent conversation. What follows is a gently humorous sequence of stalling tactics that young readers will recognize as evidence that Jabari is not as ready for this “first” as he purports to be. The author-illustrator shows patience and respect for Jabari’s process, and uses the dad to voice tender empathy and support: “‘It’s okay to feel a little scared,’ said his dad.” Jabari is provided an exit strategy that allows him to maintain his dignity and never lose face. In a demonstration that reveals great wisdom into a child’s thinking, it’s the dad/author who articulates perfectly what can happen when we face our fears: “Sometimes, if I feel a little scared, I take a deep breath and tell myself I am ready. And you know what? Sometimes it stops feeling scary and feels a little like a surprise.” Couldn’t have said it better myself. Learn to drive a stick shift? travel to a foreign country? meet new people? Scary, but could yield some pleasant surprises, not the least of which is the courage to do it again! 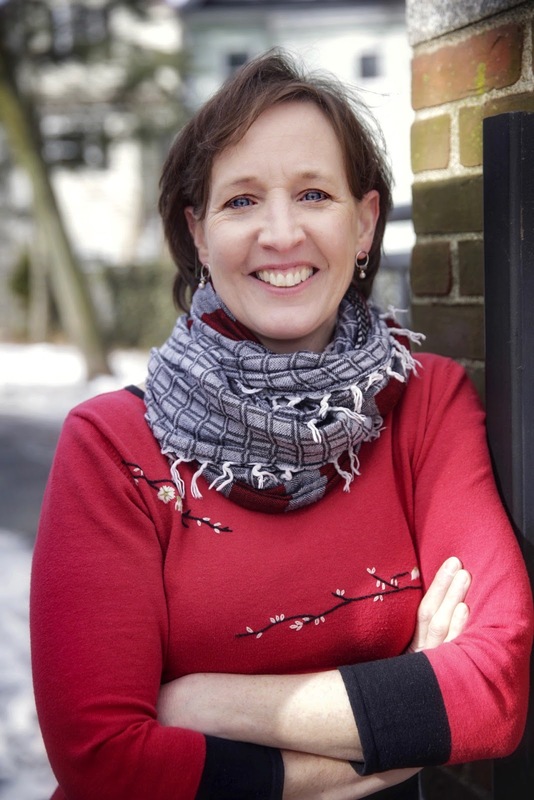 Mary Lee Donovan is Editorial Director and Director of Editorial Operations at Candlewick Press in Somerville, Massachusetts, where she has worked since 1991. Prior to Candlewick, Donovan held positions at Houghton Mifflin and as a bookseller at The Children's Bookshop in Boston while she was earning her Master of Arts in Children's Literature from The Center for the Study of Children’s Literature at Simmons College (1986). Among the titles she’s edited are the 2018 Coretta Scott King Illustrator Award winner, Out of Wonder: Poems Celebrating Poets illustrated by Ekua Holmes, written by Kwame Alexander, Marjory Wentworth, and Chris Colderley; the 2017 Pura Belpré Award winner, Juana and Lucas by Juana Medina; the Caldecott Honor book, Journey by Aaron Becker; the Newbery Award-winning Good Masters, Sweet Ladies by Laura Amy Schlitz, as well as the Newbery Honor book, Splendors and Glooms, also by Laura Amy Schlitz. Mary Lee Donovan is also the editor of Megan McDonald's Judy Moody and Stink series, and Rosemary Wells’s Felix and Fiona series. Candlewick Press is an independent children’s book publisher, and part of the Walker Books Group which also operates in the UK and Australia. Thank you so much for taking the time to break down these texts to demonstrate their effective, economical use of language. I really enjoyed reading (or rereading a few) these texts with your comments in mind. I'm taking Harold Underdown's Revision class that focuses on reader response. Will be interesting to analyze these books with that in mind. Thanks for sharing these titles with us! How interesting that writing with economy (day 20) follows longer picture books (day 19). I loved the longer picture books and loved these titles as well. I’m always amazed when I revise a manuscript to try to cut down the word count how much it improves the story. Thanks for this fun list of books. I appreciate how in-depth your comments on each book are. I came across I Dare You Not to Yawn recently and thought the premise was clever and hilarious. Some of these other ones are new to me and I look forward to checking them out. Such an interesting post. Thank you! Thank you Mary Lee for such extended analysis and breakdown of these titles. Most are new to me and will be looking them up. I really appreciated the longer analysis of these titles. When the presenters have taken the time to do this, in written or video form, it has added another level of depth to my understanding. THANK YOU! Lovely mentor texts. Thank you so much for sharing! The opposite focus of day 19 and 20 made me smile. This month has showed me the rules of picture books we often hear go out the window when breaking them fit the story. Thank you for the breakdown of these books. Engaging readers with just the right words is a real art. Lots to learn. This is such a wonderful post. I continue to really address economy of words in my manuscripts and these are wonderful mentor texts. Thank you for sharing! Thank you for sharing these wonderful mentor texts. I'm looking forward to reading all of these with your comments in mind. It is interesting that the topic today is the flip side of yesterday. Very detailed analysis of what makes these books work so well. TY, Mary Lee. I particularly love JABARI JUMPS. Thank you so much for the detailed review of these books! It’s very helpful to see the stories from your editorial eyes! New writing goal: to distill my writing. Thank you for truly breaking down your thought process in what makes each text great. I'll have to read your post and each text through a few times. Thank you for taking the time to delve into the reasons why these books work so well. Informative and enlightening. Much appreciated! Great detailed analysis of why these books work. Thank you! These are new titles for me. Thanks for sharing your analyses of their important qualities. Sparseness is difficult to achieve, for sure! Interesting contrast to yesterday's post! Instructive look at these titles from the editor's POV. Thanks for the in-depth analysis. Writing with economy is luckily one of my stronger points; I believe it stems from my advertising copywriting background and the need to be incredibly succinct. 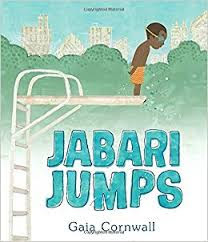 These are great suggestions to check out...I've read Jabari Jumps and loved it but plan to learn from the others now too. Thanks for sharing. I think it's easier to write with economy as an author/illustrator who creates the whole vision. For writers (only), we need more art notes to cut the word count. But then we are stepping on the illustrator's vision. Not easy. So much great information here, I think I'll need to give this one a second read. Thanks so much. So insightful! Thank you, Mary Lee. I thoroughly enjoyed your post. I found it to be especially detailed and usefully analytic. 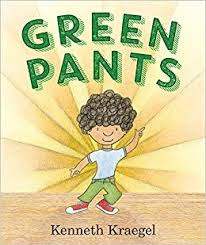 Moreover, I recognized Jabari’s story - a book I loved when reading it earlier this year - and so I’m especially eager to read the story of the green pants. And I appreciate reading of your support of stories that address/incorporate moments and/or topics not regularly seen in picture books. Thank you. Thanks so much for analyzing these great PBs and the details regarding how they accomplish so much with few words! The in-depth analysis of each book is so helpful. You've revealed some layers that I hadn't considered. Really looking forward to GREEN PANTS. Thank you for the time, especially for all your valued explanations and thoughts. I loved your in depth thoughts on each book and what makes it work. You noticed things I hadn't and introduced me to a couple of new excellent books. Thank you! Thank you for such an inspiring post. I especially love learning about why each of these titles are working well from an editor’s perspective. Jabari Jumps is a family favorite of ours. I Dare You Not to Yawn is pure genius. I literally yawned through the whole book. Thank you for this post, Mary Lee! Green Pants is the BEST! I was demanded to read it over and over again and then dance party started and it just went on from there! No time to write we are still dancing! From yesterday's longer books that s-t-r-e-t-c-h us to those today with an economy of words. I have new books to add to my reading list. Thank you for your detailed analysis! Of the books you mentioned, I've read three (I Dare You Not to Yawn, Green Pants, and Jabari Jumps) and I really like them too. It's helpful to get your thoughtful, editor's perspective on what resonates and works. This is such an enlightening and detailed post. I truly enjoyed reading what makes each book so special from an editor's eyes. Thank you for the in-depth look at these books. I'm excited to read each one of them! All the details are so helpful...these books sound amazing and so much fun! Hello Mary Lee. Thank you for taking the time to share the highlights of each book and the descriptions of texts that work so well. My favorite book on this list is Jabari Jumps. It is heartfelt and wonderful. All of these were new to me. Fun reads and great advice. Thanks! Thank you for your detailed insights as to what works really well in each of these books. I appreciated hearing your perspectives. I struggle with ecomony of words, so these examples will be great mentor texts for me. I know that when we see another person yawn, we yawn. Now I know that even reading about yawns can elicit them! It was intersesting to consider the world from a baby's POV. Loved all the books today! Thanks! I loved reading your post and being introduced to these books. Your quick highlights helped me understand some things you might look for in a PB submission. I'm excited to dive into each of these books with a closer eye! Thank you! These titles were fun because of their unique moments in life and how they were brought to life. Thank you Mary Lee! Thank you for the extensive comments on these books. This will be very helpful as I read or reread them. I hope to apply the ideas to other books as well. Thanks for sharing these great mentor texts and the in-depth analysis of these titles. I’ve read Jabari Jumps and am looking forward to reading the rest soon! Thank you for this post you have analyzed these books in ways that are helpful and ideas to take away from this. I loved the books new to me and the ideas you put forward. Thank you for the time it took to analyze these stories. Mary, I appreciate the bold highlights. I Dare You Not to Yawn is a favorite for reading aloud and Baby Got the Blues does get the laughs. Thanks a lot. Your post reminded me of sitting in one of my amazing English lit classes in college!! Thank you for taking time to break these texts down for us--you gave great insight into the theme of the post! Also, the topic was fantastically juxtaposed with yesterday's longer texts post. The two combined remind us that there are many ways to create a powerful experience for the end reader! Thanks for the recommendations! I haven't read all of these, but even with those I have read, you gave me some new insight into them. Thank you for bringing these books to our attention and for your thorough explanation of what makes them special! I could not make it through "Dare you not to yawn" without... you know... yawning! What a fun collection of books. Thanks for sharing your insights on them. Thank you for going in depth on each of these books. BABY'S GOT THE BLUES has long been a favorite in my household for its rocking Blues rhythm. And I admire JABARI JUMPS for how much it accomplishes with very few words. Yes, I Dare You Not to Yawn does make me yawn. I love little Jabari and his courage. Superb: " a silent but potent conversation" as they squeeze each other's hands. Mary Lee, what a great list and wonderful detail telling us about each story. Thank you for all you do to bring wonderful books into the world. Thank you so much for your in depth analysis. This is what I had hoped to see in all of the posts this month. Thank you for taking the time to share these books! This is a lesson I really really need to learn! Economy with words. Thanks so much!! I will print and read again and again! Loved this post. Thank you for giving such a wonderful "book talk" for each of your selections. I loved reading them. This is a great post, thank you! And my girls and I are now in love with GREEN PANTS! It gets better on every read. Thanks for your insight- great examples! I lived near Candlewick Press many years ago and was always inspired by your books. Absolutely LOVE getting the inside peek at an editor's take on what makes a great picture book. Thank you so much, Ms. Donovan...I now have a new list of must-reads. Although I know Jabari Jumps quite well and love it dearly! Thank you for the detailed descriptions of these picture books! I enjoyed Jabari Jumps! I'm going to re-read these books after these amazing descriptions. But what came through to me was each author's connection with the child and the emotions and fears and having agency. Mary Lee, thanks for sharing these great books and for the wonderful work you do at Candlewick. Amazing post! Breaking down these picture books and highlighting the aspects so intricately increased my sense of wonder about this craft. You shined a light on so many elements that it felt like a kidlit seminar session! Thanks for showing what makes a great picture book. Interesting post...VERY good selection of mentor texts to study for the craft. Thank you for sharing these beautiful picture books and helping us see how each word counts. I love your examples! Great post with helpful details on what makes these strong mentor texts strong. Thanks for sharing! I loved these books because of how in tune they are with how kids actually feel. It's sometimes difficult to imagine how life is seen through a child's eyes and to not just use my adult perspective. Great list and valuable commentary on the books. Thanks so much. I enjoyed reading your detailed insights into each of these books. I can't wait to read GREEN PANTS. Thank you for sharing this selection of mentor texts. What helpful information, Mary Lee! Looking forward to perusing these titles and studying writing with economy. Thank you. Thank you Mary Lee for these very special Mentor texts and the detailed explanation you provided. Making each word count is as much an art as it is a skill. I really appreciated the analysis of these titles. Thank you! We love Jabari Jumps at my house! Saw the sequel announced today!!! Thanks for an in-depth post! Great in-depth analysis! I absolutely love Jabari Jumps. I also am impressed with Carol Diggory Shields’ rhyming ability. She makes it seem so effortless. Just read "Baby's Got the Blues" and loved it! What a clever hook. 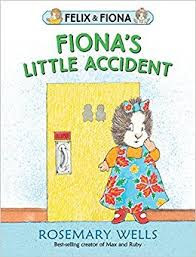 Just picked up "Fiona's Little Accident" from the library and excited to read that next. Thank you, Mary Lee, for these titles and the in depth study of writing with economy. Thanks, Mary Lee, for such a great list of mentor texts. I must study these to write more economically ! Thanks for the great analysis of these fun books. I love rereading books for ReFoReMo (I DARE YOU NOT TO YAWN, in this case) because I almost always enjoy them more the second time around. I have to try my hand at a "book as a game" story. Wow! A valuable lesson Mary Lee; thank you. I was only able to obtain 2 of the mentor texts for this lesson, and when I reread them after reading and dissecting your lesson, the stories took on another dimension. Wow! I loved your analysis of these books. I will definitely be reading them. Economy of words is a concept that is always at the forefront of discussion in my critique group, and in discussions with other peers, so I couldn't wait to read today's post! Thanks for your insights and reading recommendations. I loved reading your analysis of each book, and I will read them with new perspectives in mind. Great post! Thank you for this post about writing with economy and for showing us how and why each mentor text does it well. I love how I Dare You Not to Yawn was written as a game. And reading it late at night I definitely lost! Thank you so much for the suggestions and great post. I look forward to reading all of them. MARY: I appreciate the different viewpoints, lessons learned, and INSPIRATION from your post about economy in writing vs. yesterday's post about longer pic books. Truly, there is a balance. Truly, the story itself dictates. I have learned SO MUCH from both posts!I appreciate your in-depth analysis of the WONDERFUL book examples you provided. THANK YOU for the INSPIRATION and the AMAZIMG dedication you have in getting the best books into the hand of children. Firstly, I TOOOOOOTALLY yawned!!!! What a sweet, funny book! Secondly, I actually found myself singing a melody to "Baby's got the blues"! No complaints here that you picked books you've spent so much time with! I love the perspective you've brought to these mentor texts with this post! "Write with economy" -- it's a new phrase for me, but definitely a familiar goal! Thank you for giving us examples of picture books that successfully exemplify this from an editor's viewpoint. Interesting...I have not heard that phrase. Posts, like yours, with great details about the mentor texts are so helpful! Thank you, Mary Lee. I will definitely be referring back to your descriptions after I read each book. After driving 7 hours and reading I DARE YOU NOT TO YAWN, my yawns are telling me it’s past time for me to be in bed. I look forward to reading the other books to my grandsons over their upcoming spring break. Thank you for this incredibly detailed post--SO helpful! I love the wisdom from that Gala Cornwall that doing scary things sometimes results in pleasant outcomes. Wonderful! Thank you for going deep into the "economy" aspect of picture books and the great examples. Thank you so much for your in-depth analysis, wonderful to view them from an editor's perspective. Particularly touched by Jabari Jumps. I clearly remember diving off the high dive into the arms of my Dad treading water down below. Now as mom, I understand why my Mom looked so terrified! Great review of books. Can't wait to see how many words I can pare off some off some of my WIPs! Thank you for your in depth comments. Thank you for your thought filled post and for this excellent mentor text selection. I hope to get these books out of the library on my next trip, then reread your post of each one before I read the books! Thank you for giving us detailed and helpful insights into what editors look for in a manuscript, and for your great list of mentor texts. "I Dare You Not to Yawn" is hysterical- I can't read it without yawning, from beginning to end! The time you took to create this post is most appreciated! Thank you for this great list! I loved Green Pants, my nephew has a similar passion for red pants. And I couldn't stop yawning while I was reading I Dare You Not to Yawn, too funny! Plus, Fiona's Little Accident, such a cute story about an important topic - brilliant! Amazing descriptive post! Loved Green pants and Jabari jumps. So helpful, thank you! Fantastic, Mary Lee! Thank you for sharing these titles and explaining what they do so well. Thank you for your detailed descriptions. What a group of fun yet poignant books! The explanation on these are fantastic! GREEN PANTS was my favorite off this list. I can remember my kids having that one thing they HAD to wear each day! Thank you Mary Lee for this post! What a treat to read your thoughtful insight into these wonderful books! And what a testament to the quality books published by Candlewick Press. I thoroughly enjoyed your post - thank you so much, Mary Lee! Thank you for the detailed insight into each of these books. I look forward to delving into these texts to study writing with economy. Thank you for the thoughtful and informative post. Appreciate your insight! Thank you for sharing your thoughts on these lovely books! Thanks for breaking down these texts and thoroughly analyzing each one. I found your post very valuable. I especially appreciated how you highlighted lines from Fiona's Little Accident that SHOWED how she was excited for school. Setting out clothes the night before is an action I think all kids can relate to and is so much more powerful than saying, "She was excited for school." 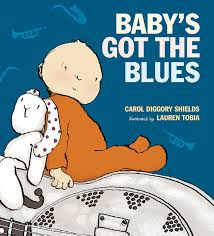 I wondered if a kid would appreciate the creativity in Baby's Got the Blues, and thought there should really be a narrated CD accompanying it since the text is so musical. In I Dare You Not to Yawn, I loved the ending: "How did I end up here?" and he's lying in bed. Seems like the perfect way to trick a kid into their bed. Green Pants and Jabari Jumps both seemed very relatable to a child. They both told a story about a personal obstacle they had to overcome, and in the end, they each overcame their fear, Jameson through compromise and Jabari through bravery. Thanks for a great list of texts, all but one of which are new to me. And thanks especially for the detailed commentary - so helpful to have specifics in mind when reading for research. Thank you for the great mentor text recommendations and your thorough and insightful dissection of each book. Very helpful. Thank you! I love your analysis of how each author uses economy. Often times, picture books are so short that it is so important that we are making the right word choices. Thank you for this post! I love Baby's Got the Blues, and all of Shields' writing. Word economy is still a struggle for me, so I appreciate such a helpful and detailed post, Mary Lee Donovan. I have such admiration for Candlewick and am grateful for this look into some of the wonderful things you publish! Thank you! These are ideal mentor texts that do indeed elicit impactful responses from readers and listeners! Thanks for providing this powerful reminder about the importance of how economy in content creation blends beautifully with emotional impact. Many thanks for sharing! Looking forward to reading these books. Thank you for your insight. Having an editor deep dive into what makes a text works is a gift! Thank you Mary Lee. I wasn't able to locate all of these books, but your insightful and detailed posts made up for my loss! Thank you so much for your opinions! Thank you for an informative post filled with excellent picture book titles. Thank you for your post and valuable insight. The funny thing about this one was that when I was reading the Yawn book, my daughter came by me and she was yawning! Thank you for sharing these fabulous mentor texts and for taking the time to explain what makes them special. That extra insight really helps. PB's about the yawning phenomenon, accidents, and more. Can't wait to read! Loved these mentor texts. So happy to have found Jabari Jumps. It has wuickly become one of my favorites. Love Candlewick's library of picture books. It must be so satisfying working on all these wonderful stories! Thanks for your detailed commentary on each book - it's very helpful to see through the eyes of an editor. I especially enjoyed I DARE YOU NOT TO YAWN! Wow! These all sound like they pack quite a punch! Can't wait to read and learn how they fit so much into so few words. Thanks for sharing your incite. These were all new mentor texts for me. Thanks for the suggestions. Thank-you for taking the time to give such an in-depth discussion of each book. There is so much to learn from great texts! Thanks for this comprehensive discussion of these mentor texts. I especially love Jabari Jumps. Thank you for breaking down these lovely mentor texts thoroughly and insightfully! Wow! Thank you so much for taking the time to introduce all these wonderful books to us and explaining why they each work. So grateful for your thoughts. Your texts were wonderful. Economic in words, and rich in plot. I found a substitute text that was a good story, but merely good. It had too many words to be great, It needed word economy. It showed me why it's worth it to get the right number of words...not to many...not too few. Thank you for the rich analyzation of these texts and for giving me a window into what makes them work. I feel empowered to review my own WIP. Wow! A great list of fabulous books. I Dare You Not to Yawn, Green Pants, and Jabari Jumps are ones I'll want to read again and again. Thank you for this post. These were charming stories. Loved these books. I typed them out so I could see the text as a manuscript. Thank you for the detailed summary of each book as I couldn't get hold of all of them. Great details! So many things that I had over looked. This is a post to reread when thinking of my manuscripts. Thanks. Read I Dare You Not to Yawn and it's funny and can bring a kid in. Thank you for the mentor texts. Thank you for analyzing these texts so thoroughly! I really enjoyed reading your post. Your insights into the books was interesting to read. Thanks.